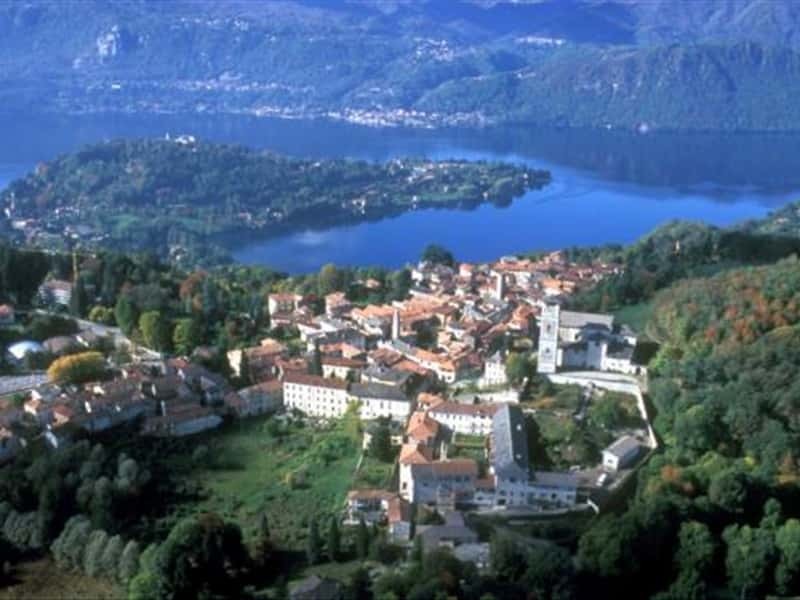 Mountain village in the province of Novara, crossed the river Agogna and located halfway between Borgomanero, Omegna and Arona and between the Lakes Orta and Maggiore. A cultural centre, rich of art and history with interesting buildings of the XVII and XVIII centuries, picturesque views of downtown and typical rural churches. The area offers great hiking itineraries in direct contact with its natural scenario. The area was inhabited since ancient times, as evidenced by the discovery of relics from the Iron Age. The Romans colonized the area of Lake Orta, and after the fall of the Empire, they were replaced by the Lombards in the year 570. The lands, subsequently ceded to the Duchy of Novara were unified into the Duchy of San Giulio, at the orders of Mimulfo, who had the assignment to defend Ossola from the Franks, but, having betrayed and having allowed their passage through the Simplon, was put to justice by King Agilulf. During the medieval period, Miasino became part of the domain of Bishops of the Riviera di San Giulio. In the XVII century, the town experienced an era of prosperity and development, enriched by the construction of beautiful buildings. In the second half of the XVIII century the domain over the territories was acquired by the Savoy. - Palazzo Sperati, a XVII century building with a U-shaped plan, renovated at the end of the XVIII century. This town web page has been visited 16,429 times.